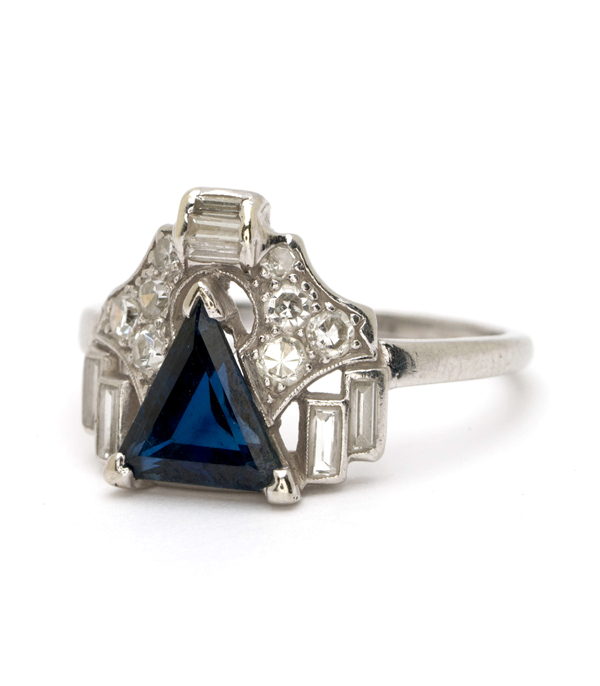 Deco and daring, if we say so ourselves. 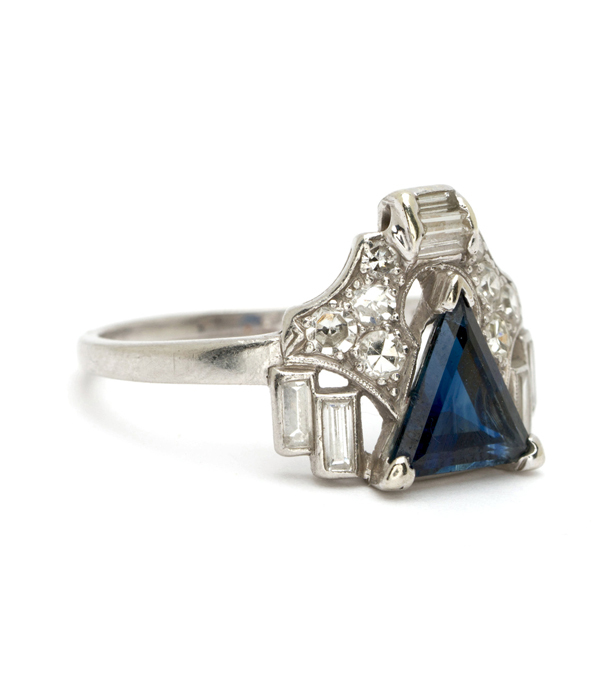 We can’t get enough of Art Deco pieces filled with modern edgy coolness, such as this! 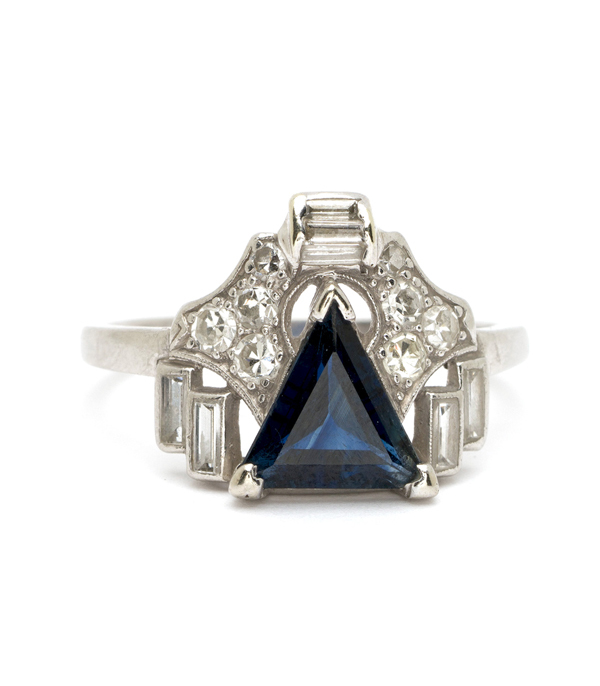 The harmonious balance of opposing elements, angular and lyrical, never fails to disappoint. 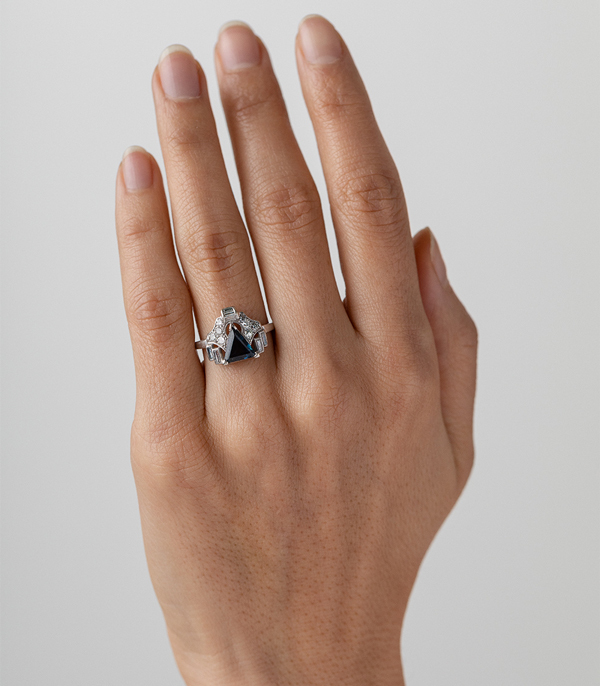 This stunning platinum ring features a triangular cut sapphire surrounded by diamond baguettes round diamond single cuts. 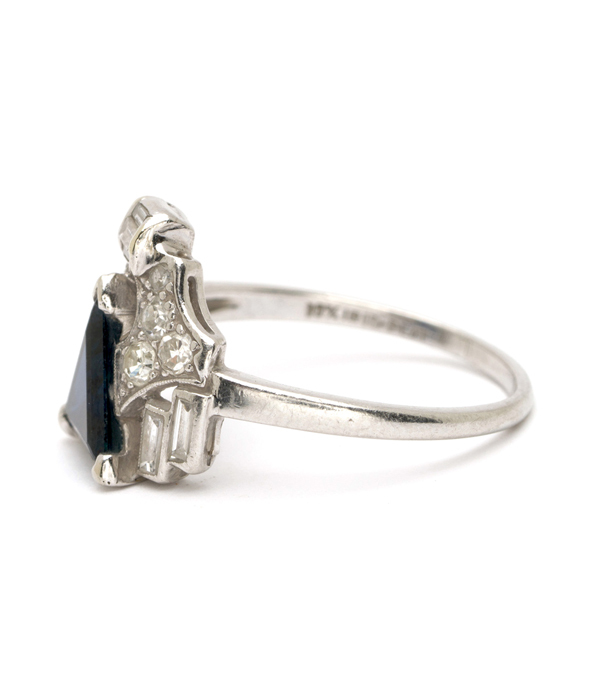 This stunning vintage ring would make a unique engagement ring for a modern cool bride with a taste for vintage styling!